What is the best way to store handbags? Whether you have two or a hundred and two handbags, you need somewhere to keep your bags when they are not in use. Depending upon your personality type, you may just throw them unceremoniously on any available floor space, or you may keep them in their original dust bags safely stored on a dedicated shelf. Most people tend to fall somewhere between the two. We find we have our expensive designer handbags in their dust bags on the top shelf of the wardrobe, whilst our day to day handbags have to take their chances in the hallway and understairs cupboard. We have even seen the most amazing dedicated bookcases used to create a display of distinctive and limited edition bag collections. All we could do was look and drool with envious eyes at the beauty of the handbag haul. 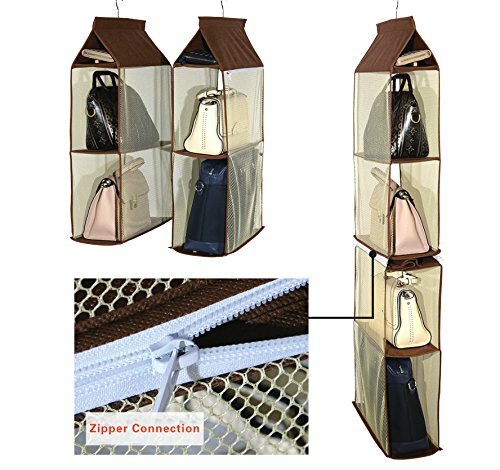 Whatever camp you are in, we find that a cheap hanging handbag storage organiser is indispensible. 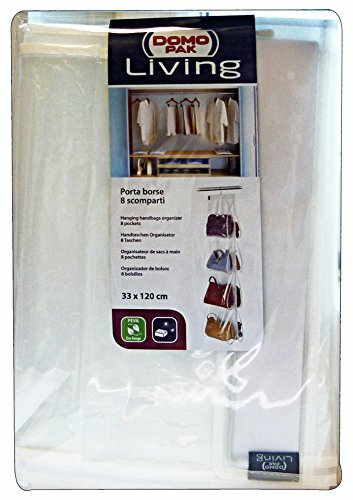 Many are clear and are designed to hang from a wardrobe rail or hook. 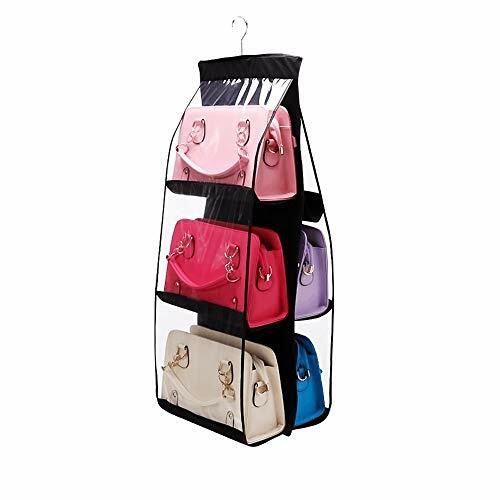 This type of bag storage tends to have a swivel hook on the top that resembles a coat hanger.